As educators and ministry professionals, we often forget that we not only have a responsibility for the faith formation of those to whom we minister, but to take time to educate and recharge ourselves. We have been called by God to this ministry and in gratitude we can strive to learn, take Sabbath time, and better ourselves in order to serve God. This year, ahead of the APCE Annual Event in Galveston, I had the privilege to participate, along with eleven of my fellow educators, in “Worship and Sacraments,” a course led by Michael Waschevski. We came from all areas, stages, and walks of ministry. Some were just beginning their calls in ministry. Some had been educators for decades. Some were ordained teaching elders. Some were there to complete another step towards becoming a Certified Christian Educator. Some were attending for continuing education or curiosity. We came from the West Coast, the East Coast, the Midwest, the Rockies, and the South. “Worship and Sacraments” presented the opportunity to delve into learning the ways in which we worship and respond to God’s grace with our gratitude. As a group, we not only looked at the ways worship has evolved throughout the Old Testament and New Testament, but also how it changed during the Reformation and in recent years. What was unique this year was taking time to focus on the use of music in worship. We examined the ways in which music not only plays an important role in our worship, but also how it can, and often does, cause the most controversy among worshipers. Music can be a powerful medium in which all members of a congregation are given the opportunity to express their love and gratitude for God, the Son Jesus, and the grace we have been given. The “Worship and Sacraments” course was a perfect segue into this year’s Annual Event. As a candidate in the certification program, the opportunity to take a certification course before the APCE Annual Event not only allows me to work toward certification, but also provides the opportunity for fellowship, networking, and attaining a plethora of resources and ideas. 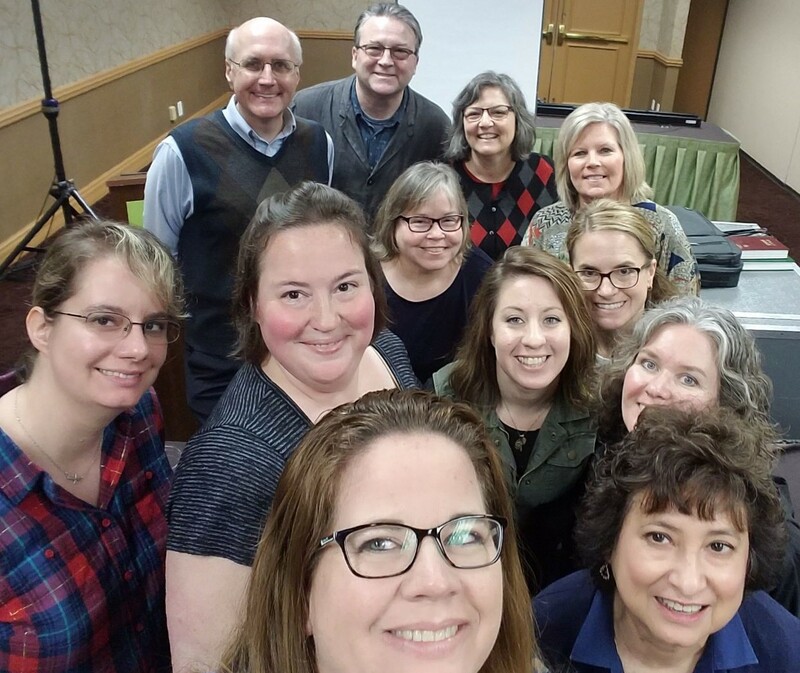 When I walked into my first certification course prior to an APCE Annual Event, I would have never thought that I would walk away with a group of lifelong friends who remind me of the grace of God, grant me grace themselves, and help to keep me faithful knowing that my ministry can make an impact on those around me. When you participate in a certification course before an Annual Event, you never know, you might be building relationships, networks, and a little family long before the event officially begins that will last long after it ends. For this gift, I am overflowing with gratitude. Erin Dickerson is the Director of Christian Education at Sugar Creek Presbyterian Church in Kettering, Ohio. She is currently pursuing Certification as a Christian Educator and serves as Coordinator of the Educator Support Group for the Miami Valley Presbytery in Ohio.